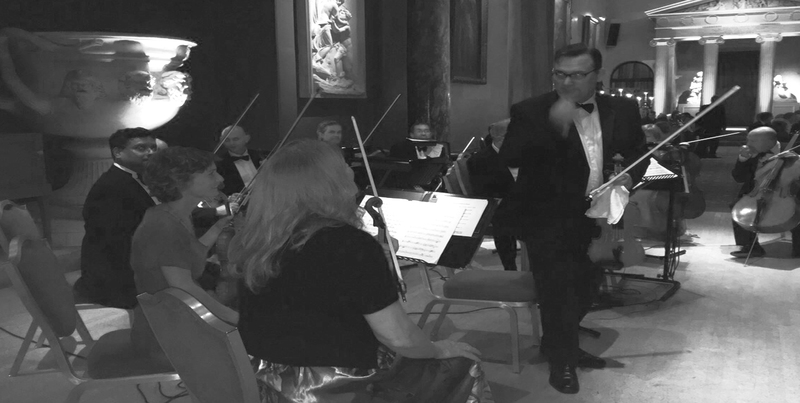 The Altamira Chamber Orchestra was formed in the summer of 2010 by violinist Robert Atchison. innovative repertoire. Most of the work we do is project based. 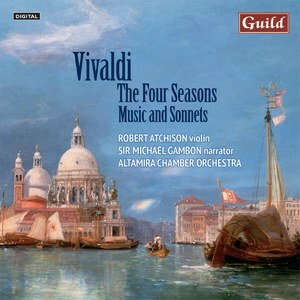 the first is the Vivaldi Four Seasons with Sir Michael Gambon narrating the sonnets. Antonio Lucio Vivaldi, (1678-1741) nicknamed il Prete Rosso (The Red Priest), was a Venetian priest and Baroque music composer, as well as a famous violin virtuoso; he was born and raised in the Republic of Venice, where he spent most of his life. In 1711 he composed twelve violin concertos which were published in Amsterdam by the music publisher Estienne Roger under the title "l'Estro armonico" (Harmonic Inspiration). The Four Seasons consisting of four violin concertos and the violin concerto La Tempesta Di Mare (Stormy sea), which are performed on this release are part of this collection. The Four Seasons is undoubtably Vivaldi's best-known work and one of the most popular works from the the Baroque period in the repertoire. The Sonnets depicting the seasons were written by Vivaldi prior to the music and are uniquely presented here in conjunction with the music and as an intrinsic part of the entire performance, bringing even more life to this wonderfully expressive and descriptive music. This CD has the honour to have Sir Michael Gambon, one of the greatest and most distinguished British actors of his generation, to narrate the sonnets, together with a vibrant and bracing musical performance from violinist Robert Atchison and The Altamira Chamber Orchestra.